EDITOR'S NOTE: This post is part of a series of commentaries and guest contributions reflecting on the Internet Governance Forum  and the future of global Internet governance. Governance of the Internet – a globally interconnected space upon which growing numbers of citizens, governments and companies all over the planet now depend – is an on-going experimental process. Organizations like the Internet Corporation for Assigned Names and Numbers (ICANN)  which manages the Domain Name System (DNS),  and the Internet Governance Forum (IGF)  created as a global forum to discuss Internet governance and policy issues, have both adopted variants of the multi-stakeholder model  which includes civil society, governments, companies and the technical community. One of the thousands of IGF attendees multitasks in a plenary meeting. Photo by Franck K on Flickr. The 6th IGF  was held last month in Nairobi. When asked to describe the success and influence of civil society in advocating for Internet users’ rights after, my answer is: civil society has not gotten very far, stands at a crossroads, is not sure where it is headed, but still has time to find its direction and have an important role. In this blog entry, I will look at civil society from the perspective of a participant in both the Internet Governance Forum (IGF ) and (ICANN ), the two major crucibles of multi-stakeholder governance. There are other organizations where civil society is involved in the area of Internet governance, but as the debacle  of eG8  showed, civil society often does not even get a seat at the table. And even in the OECD , where an organization of 80 civil society groups (the Civil Society Information Society Advisory Council or CSISAC ) was finally given some status, it was ultimately marginalized with its objections  not included in the final communique . At this point in time, the only areas in Internet governance where organized civil society has a well established role are the IGF and ICANN. 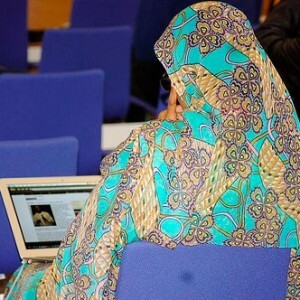 Civil Society’s role in Internet governance reached its highest point in Tunis during the World Summit of Information Society (WSIS ) were it managed to campaign for justice with Tunisian freedom of expression activists and lobbied for the forum that became the IGF. Civil society at that time was on fire with ideas and proposals. It not only worked in cooperation with both business and the Internet technical community, it was capable of putting out significant statements on a variety of critical issues. In WSIS, the voice of civil society could not be ignored, to the displeasure of many. Since those heady days, civil society has been slowly becoming less influential. It is not that some organizations don’t still have great influence – for example the Association for Progressive Communications (APC ) is still a voice that gets attention. But the general body of civil society that was organized into groups such as the Internet Governance Caucus (IGC ) have lost much of their influence. Some have attributed this to inadequacy of the form of participatory democracy we call multi-stakeholder governance, arguing that civil society cannot be a standalone international entity but must be one that works through national government, in so far as they are allowed to. Some have argued that since civil society activists are self selected, they cannot represent anyone. Some have argued that civil society still hangs on to old socialist ideas that are outdated and some have argued that civil society has been captured by the liberal market. Whatever the reasons, civil society no longer has the push it had when the IGF was founded in 2005. While it found a bit of energy during the 2010 discussions concerning IGF renewal discussion on the Commission on Science and Technology for Development (CSTD ) discussion on the creation of a Working Group without civil society participation, its drive to participate in the many topics of the Internet Governance is spotty and irregular. In fact, the time that civil society seems to wake up are those time when it is excluded from participation. Once it gets its foot in the door, it often returns to its now common state of inactivity, displayed in its inability to put out relevant and timely statements. In the IGF context, the lack of influence has been recognized in the civil society Internet Governance Caucus (IGC ) and there are attempts to find a path back to relevance. In this year’s Multi-stakeholder Advisory Group (MAG ), the program committee for the IGF meetings, civil society members for the first time endeavored to get strong civil society voice on the various main session panels. Borrowing from the coordination practices of commercial and Internet community participation, various civil society players coordinated their activities using the Internet and were able to gain some influence over the program. This effort was successful, and a lot of the credit goes to a few members who really worked against the tide in the MAG to get civil society involved; they have set an example for the future and have begun to chart a new direction for civil society. In ICANN the history of civil society has been one of relative dysfunction. In ICANN’s multi-stakeholder process, civil society is very much a minority player, and is treated with the disdain and interference  that is the norm for minorities in most communities. Nonetheless it has a role and if it can organize itself could have a significant voice. Unfortunately, civil society spends much of its time in the various forms of conflict within its own ranks. In the past, the battles between the various factions of civil society were played out to the amusement of the rest of the community. While currently in an era of relative peace between the factions, it would take an blind optimist to believe that this will last for any amount of time. From my vantage point, I see civil society within ICANN as unfortunately poised on another era of internecine conflict. The NonCommercial Stakeholder Group  (NCSG), one part of civil society representation in ICANN is split between two constituencies, the leaders of which see each other as enemies, and though many of the members of the constituencies might be able to find a way to work together and accommodate themselves to their differences. On the other hand the At-Large community, the other group in ICANN related to civil society is still finding its voice and has not yet achieved the confidence in itself that is required for having an effect in ICANN. The At-Large Advisory Committee (ALAC ), the coordinating body for the At-large, does, however, have strong leadership that is very intent on binding their committee together to meet common goals. I think there is promise in the direction ALAC is taking. I attribute civil society’s loss of influence largely to the divisions among civil society activists. In both the IGC in relation to the IGF and in the NCSG in relation to ICANN, there is often more interest in ideological purity than in working together to achieve common goals. In both of these organizations, most of the energy is spent on the ideological discussions and the repercussions of such arguments, sore feelings and structural divisions. The only time that one sees any unity in the civil society is when there is an external threat, for example the threatened cancellation of the IGF in 2010. This is the crossroads that civil society faces. The factions can continue to tussle and squabble over ideological purity, or they can find common cause on some important goals and work together with tolerance for their differences. And that is the decision that civil society needs to make about its path forward, ideological purity or pragmatism for common goals in the public interest. Fortunately there is time for civil society, at least in the IGF context, to come out of the crossroad heading in a critical direction. We are now four years away from the WSIS ten year followup – which is still enough time for civil society to mobilize itself along the important rights based topics that need to be the focus of the followup. It is civil society’s duty to point how little was achieved in the ten years following the Tunis Agenda, and it is civil society’s role to make sure that message gets across and that actions are taken to get something done in the next decade. In fact it should not wait four years, but should start working on goals in the short term. In the short term, the next IGF is scheduled for Azerbaijan, a country notorious for its abuse of its population's freedoms. Whenever an event like the IGF comes to a country, a brief window of liberty is opened. Civil society needs to mobilize for next year’s IGF to allow the civil society of Azerbaijan to maximize this opportunity. And whenever the traveling circus of the Internet Governance Forum leaves town, the forces of repression are ready to administer the repercussions of the moment of freedom. Civil society needs to mobilize to insure that the mechanisms are in place to protect the people with the clear light of day once it leaves town. Fortunately the effort on this has already been started by some in civil society including organizations such as Freedom House . In terms of ICANN, I am not sure that there is much that can be done for NCSG at this point other than to duck and cover; then again I hope I am wrong and the leadership in the NCSG will indeed find a way to conciliate and work together. But in terms of the At-Large there is a strong chance that over the next years it could achieve that stature of the Government Advisory Committee (GAC ) in its ability to give well formed advice on ways to make the Internet a better place for the world’s people, and to have that advice seriously considered, as seriously as the government advice is considered. One good thing about both these multi-stakeholder efforts is that they are always open to new participants. In fact they are eager for new participants. For the IGC and work in the IGF, information about getting involved can be found here . You can also follow the IGF website . For opportunities to participate as an individual, for example, almost all meetings are open and allow for remote participation. Involvement in ICANN can be complicated, but there are many ways to get involved from commenting on policy recommendations, to creating policy recommendations, to being on the Board and approving policy recommendations. Almost all working groups and ICANN meeting are open to the community; participation opportunities and information is generally posted on the ICANN website . One can find information on joining the NCSG here . If you are a member of an organization that focuses on Internet related issues, one of the best ways to get involved is for your organization to become one of the At-Large Structures (ALS); information can be found here  or you can join an existing ALS . Finally, each year, ICANN does outreach for new leaders for its board and various committees. Information on this can be found on the Nomination Committee page . The history of civil society is one of waning and waxing influence. It has been waning for several years now. With effort and greater cooperative participation it could enter a period of waxing. I hope that this is path we take from the current crossroads.